Q. Why does a new PDF open every time I turn the page of an eBook in EBSCOhost? -Click the Edit menu in the toolbar at the top of Adobe Reader. -Select Preferences from the drop-down list of options. 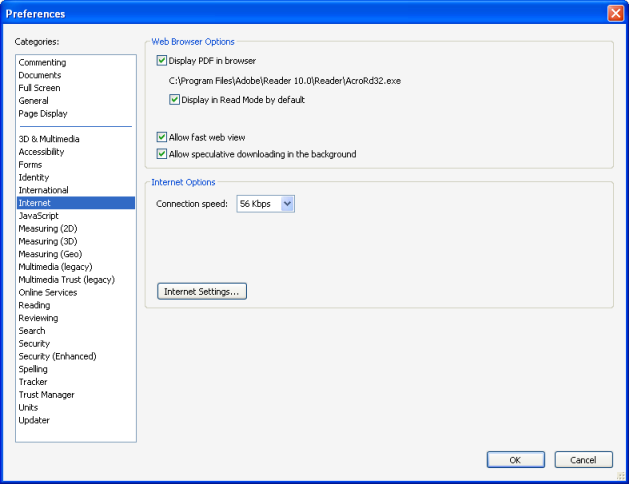 -Select Internet in the left-column of the resulting menu. -Mark the check box "Display PDF in browser."